As always, the following curriculum outline is subject to change, but this is my tentative plan for the 2014-2015 school year. Emory is almost 5 and wants to start Kindergarten. Elliott is in 2nd grade. We're changing things up a bit this year by trying an almost-inclusive curriculum, especially one that is based on unit studies. However, I wanted to find a more encompassing way to include Emory and keep our learning family-oriented, rather than separate them by grade level. I needed something flexible, exploratory and literature based that would feel comfortable with our general homeschooling philosophy. Five in a Row seems like it will meet my needs for being gentle enough for a five year old, but having enough material and opportunities to explore and rabbit trail for in-depth learning for a second grader. Even though it's a curriculum, it is flexible enough that we can pick and choose units based on our interest, the seasons or other unique factors, rather than going in a specific order. My current plan is to spend one week rowing, and one week off. The weeks we row will be primarily Five in a Row, Reading and Math, and we will use the FIAR guide as a loose starting point for interest-led learning opportunities. The weeks off we will focus on reading and math, and different activities from the "other" subjects, personal projects or whatever else we find ourselves getting into! Scheduled Reading - Elliott will also be asked to read aloud for practice and fluency. Music - I want to add in some more Maestro Classics, since we enjoyed the two we reviewed. It looks like a lot now that I have it all typed out. I tend to over plan in the beginning, and then pare down as necessary. I'm sure halfway through the year I'll update with how things are going! 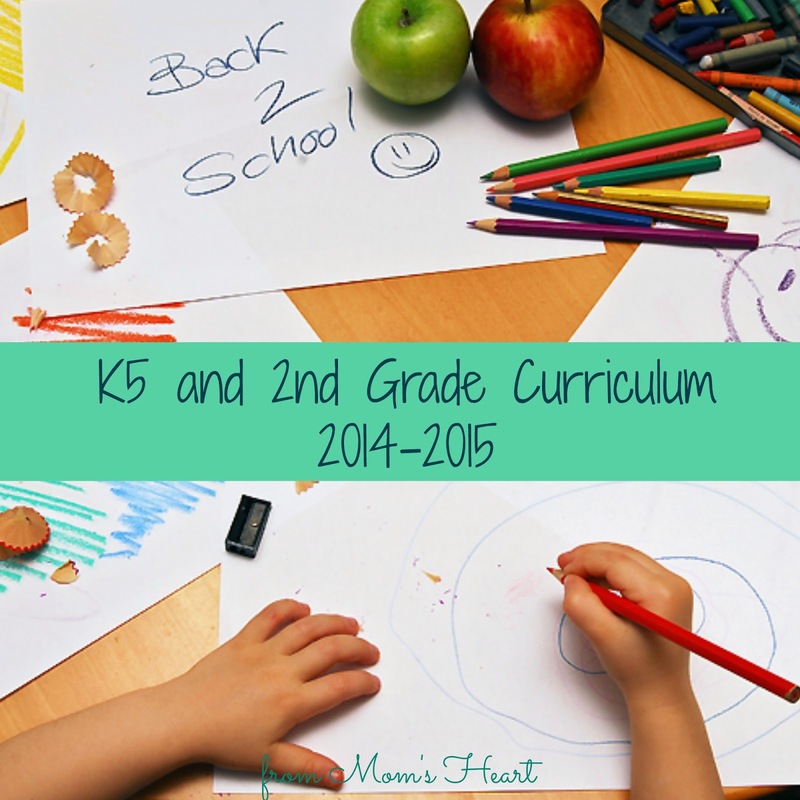 This post was shared with Our Curriculum Choices and 2014 Curriculum Choices! Wow you are off to a great start! We settled in our curriculum also. It feels blissful when you find the perfect fit for your home school. We are going in to our 4th year and it's gotten better and better each school term, and this is shaping up to be a great year!!! Yes, it's nice to find something that I think will meet multiple needs and help us have a fun and enriching year! I definitely overplan as well - I'm using Heart of Dakota for my daughter for first grade and it is supposed to be all laid out for me so I don't have to plan but I've been going through the book adding various library books and youtube videos we can use for each lesson. lol It doesn't hurt to have lots of resources to pick from, even if you don't use it all. I'm considering using Five in a Row for preschool (BFIAR) next year for my son - I think it's something that would really engage him in learning. :) Especially for the younger grades, why not make it as fun as possible? I'm looking forward to seeing how this goes for you! Random 5 on Friday ~ 8/22 ~ A lot of BIG news!